Girl Featureless Child Mannequin. 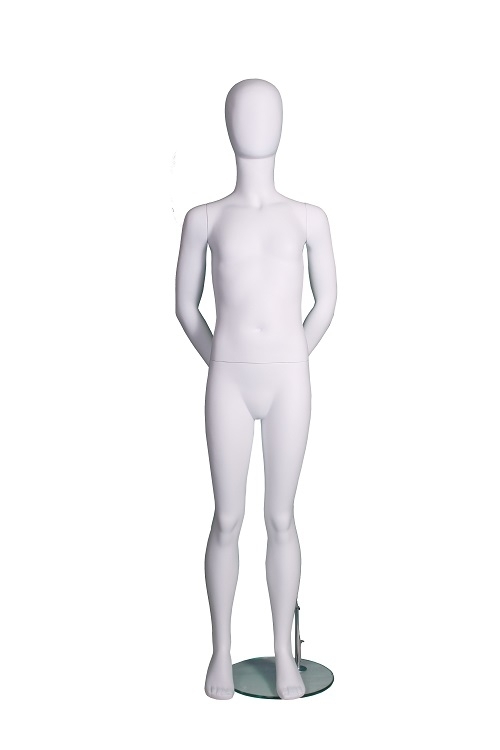 A new range of abstract head mannequins are available in a white matt paint finish. Supplied with a glass base. Age 6-8 yrs, produced from fibreglass. Height - 142cm (4ft 7in. ), Hips - 67cm (26.3in), Chest - 69cm (27.1in. ), Waist - 57cm (22.4in. ).